If you’re planning on taking the IELTS, chances are you’re a little nervous about the vocabulary. Don’t stress! Many students struggle with IELTS vocabulary, and our experts are here to help. 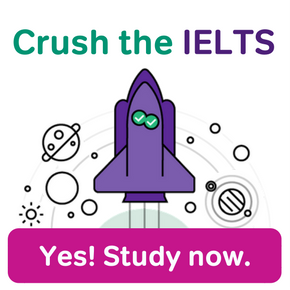 Well, when it comes to vocabulary, the IELTS isn’t one test. It’s really four tests. 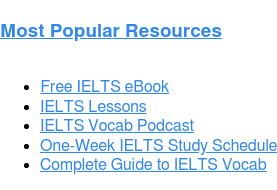 Each section of the IELTS — Listening, Reading, Writing, and Speaking — has its own unique mix of vocabulary. What Will I See in the IELTS Vocabulary 2 Video? This free 8-minute video covers a list of words to use when talking about increases or decreases in numbers. These words will help you score highly on your Writing Task 1 Exercises, where you will need to describe and interpret graphs and charts. In the video, our IELTS expert Elliot will give you a brief introduction, followed by detailed explanations of five adverbs that are useful for describing changes in numbers. These words come from a longer IELTS word list that we put together to help students prepare for the vocabulary on the IELTS exam. 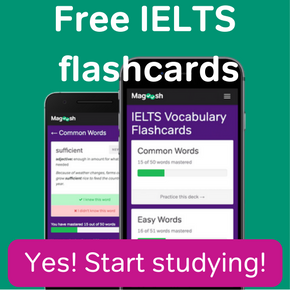 Hi, I’m Elliot, the IELTS expert at Magoosh, and in this video we’re going to look at some vocabulary that’s very useful for you, especially on the IELTS Reading Task 1 exercises for the academic test. 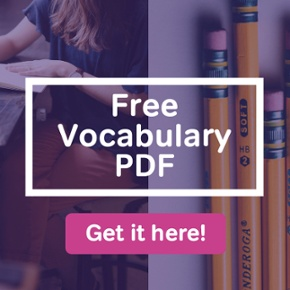 We’re going to look at these words in just a moment, but first I wanted to let you know, if you look at the link down below in the description box, if you follow that at the end of this you can get the full list of vocabulary words that we have there for you, that are targeted for particular sections of the test and are especially useful for you to study to prepare for all for sections. So go to that link after the video ends here, okay? But we’re gonna look at five words today, and these words are especially useful, as I said, for the Task 1 Academic Writing exercise because all of them are going to help you describe numbers in a particular way. As you’re probably aware, in task one exercises on the academic test you’re going to have to describe how numbers and certain statistics and certain trends vary, increasing or decreasing over time, things like that, right? Well we’re going to think about words in this lesson that help you describe those changes in different ways using really advanced and nice vocabulary that’s gonna boost your score a little bit okay? So let’s look at each of these words and think about how to use them. Again each of these words can be especially useful when you’re describing increases or decreases in numbers relating to something that you see in your visuals for Task 1. Okay? The first one is “Roughly”. All right, so when something increases or decreases “roughly” by a certain amount, that means approximately or about. Okay, so the idea is you’re not mentioning the exact number of something, you’re saying it’s roughly this or that. Okay? That’s useful often with visuals that have graphs and charts that you see in your Task 1 prompt that you know it’s hard to know exactly the number you’re looking at because there isn’t that much detail. So you might say the population of a certain town increased by roughly by twenty-five thousand inhabitants, by twnty-five thousand people. Maybe the number is twenty-four thousand something or just over twenty-five thousand. “Roughly” allows you to give the approximate number or a number that’s close to what it looks like on the graph. Okay? So this could be a very useful adverb for you to describe numbers, in not quite a very precise way, because you need to describe things generally. Okay? So “roughly” is your first word to describe. Okay, if things increase or decrease gradually, that means they move slowly there’s not some big jump up or some big fall down in numbers right? So if you are improving, let’s say you’re improving your English skills, gradually over time, or you’re increasing the amount of money you have in your savings account gradually over time, right? You are not putting a lot of money in the bank quickly. You’re saving just a little bit each month, right? And if you’re improving your English skills gradually over time, it means you’re not noticing any huge leaps forward. You are steadily increasing day by day. Studying a little bit more over time, okay? So this idea of being gradual means that things happen slowly and the increase or decrease is not something sharp or really noticeable, but it’s just over time. It’s a trend that goes in one direction. Okay, so that is “gradually”. All right, now a very different idea here: “Abruptly”. Okay, abruptly is a fantastic word to describe a quick change okay? Something that occurred if numbers that something your looking at on your Task 1 chart jump up or fall down very fast, abruptly would be a great word to use. For example we could think of a school, maybe a college has tuition, and the tuition has been the same for years and years. But suddenly, or very abruptly, the school increases the tuition by a few thousand dollars every year or something like that. The students would be very angry in that case. Okay if the tuition increases abruptly that would cause people to be very angry because that means the tuition increased very quickly, and maybe unexpectedly in a way. We sometimes use this with the idea that something isn’t really planned, or it seems surprising in some way. So that’s an abrupt change is something very fast or quick, an increase or a decrease, just depending on what you’re looking at. Okay we’ve got two more. All right, if something increases or decreases significantly, that’s basically just a paraphrase saying it increased or decreased “a lot”. Okay? If we say something like “the number of people who are taking a particular teacher’s class increased significantly this quarter” or if, say, the amount of reading that I do now that I’m finished with college decreased significantly this year, okay? That would be just a synonym a lot. Okay? Or it’s something noticeable, significant in some way. It’s not a small change; it’s something larger, noticeable. Okay, so “significantly” is a nice advanced vocabulary word that could replace the idea that something increased or decreased a lot. All right, and a similar kind of word here: “Markedly”. Markedly actually will be used very similarly to significantly, the last word we just saw. This idea may have the, sort of the concept of, it’s a very noticeable change, okay? But it is basically a synonym or paraphrase for the idea “a lot”. So, uh, you know, if the population of a town increased “markedly” over the last ten years, or so, that might be a chart you see on your Task 1 exercise, that would simply mean that it increased a lot. Significantly, it’s a very noticeable change that you are describing in your essay. Okay? So those are our five adverbs today that you can use to describe increases or decreases in numbers. 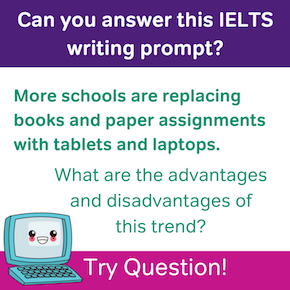 They’re useful in other ways as well okay but since you so often have to describe those increases or decreases in your Task 1 Essay, this is, these are words to keep in mind for those. We’ve got even more of these kinds of words on our full list that you can see by clicking on, uh, the link that you have in the description box below, okay? So study those words, study the words from this video, and they’re gonna be especially helpful for you on your Task 1 Writing Exercises. Okay? So, good luck.